Foo Fighter's frontman Dave Grohl has been around the block a time or two, but now he's actually getting his own street. The former Nirvana drummer is the subject of a successful petition to get Market Alley in his hometown of Warren, Ohio changed to Dave Grohl Alley. The impetus for renaming the street came from Warren Police Sgt. Joe O'Grady and an area DJ named Fast Freddie. 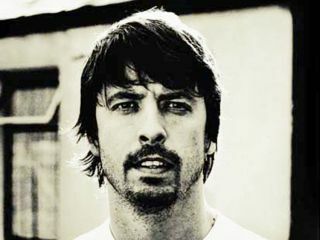 Grohl - who lived in the area until a young age and still has family there - is expected to attend the dedication ceremony for the renamed lane, but details about when the event might take place are not yet available. In related news, Lou Reed is actively campaigning to have a New York street named after him. The 66-year-old rocker was born in Brooklyn and has spent all of his life living in Manhattan, where he was once nicknamed the Bard of the East Village. Reed is hoping that he will be honored in the same way punk star Joey Ramone was when the 2nd Street East Village block where he once lived was officially renamed Joey Ramone Place. "Lou Reed Way would be nice," says the singer. "Any little street would do."